Pain on the outside or front of the shin can be Compartment Syndrome, periostitis, muscle strain or nerve related. Stress fractures are common along the front and inside of the shin. Pain on the inside of the shin is mostly caused by the three muscles that attach here and control the foot and toes being over worked. Tibialis posterior is the most common. ‘Shin splints’ are a common complaint. 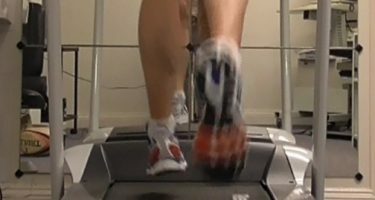 This is not where your shin splinters, although it can feel like it. It is the generic name for any pain in the shin, usually due to running. Compartment syndrome is felt in the muscle and is where the muscles swell with exercise within their fibrous sheath which can be too tight to accommodate them. This can be both acute which is very painful and a medical emergency, and the more common chronic which is felt as a build-up of pain during exercise. Periostitis or stress fractures are felt on the bone and the most common. This is a deep ache when exercising and at their worst are sore at rest. Nerve pain can come from the local nerve or refer from the spine. It can be ache burning/pins and needles. Drop foot syndrome is a side effect of nerve damage and, like all of the above, is treated by Physiotherapy. 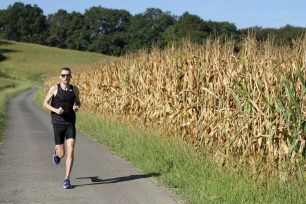 Pain on the inside of the shin is usually felt by runners. The pain can start as muscular, an overload of several muscles, particularly Tibialis Posterior. This can develop into pain on the bone itself which is periostitis or go further into a bone stress injury. There is a lot of overlap between these symptoms and causes. The causes are overloading from poor biomechanics. Your Physio can help you to treat the causes and resolve the issue rather than just treat the symptoms. 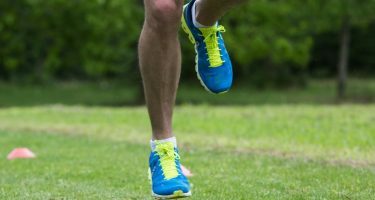 Shin splints is the term people often use but it is just an umbrella term for pain in the shin. In reality, there are multiple issues and causes. Much like a headache. Compartment syndrome comes on when running but quickly eases when you stop, only to resume again. The cause is a tight sheath around the Tibialis Anterior muscle. This needs the fibrous tissues to be loosened off. It can be eased out yourself but often needs deeper work with a Physio. It rarely gets better on its own so you need to get it looked at.